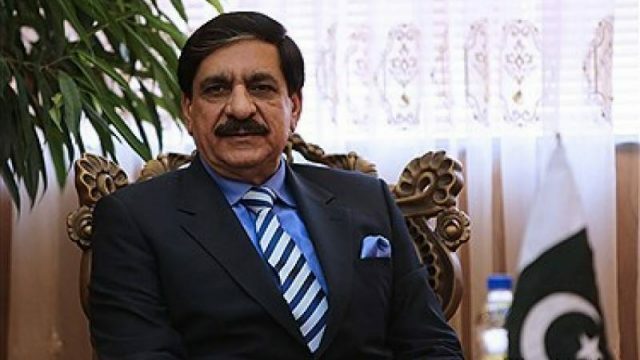 ISLAMABAD: National Security Advisor (NSA) Lt Gen (r) Nasser Khan Janjua said on Thursday that Pakistan will support any effort of the peace process in Afghanistan, which would be Afghan-lead and Afghan-owned. The NSA said this while speaking at a special seminar titled “Peace – a dividend for development and stability in Afghanistan”, organised by Sustainable Development Policy Institute (SDPI) in collaboration with the National Security Division of Pakistan at Pakistan Institute of Parliamentary Services (PIPS). He said that Pakistan and Afghanistan share a lot of opportunities and have common economic future which has the potential to connect to markets of Europe, Africa and rest of Asia. Both have the potential to become a trade and economic hub of the world. He said nobody has ever invested in peace in the region and that peace is beneficial for both Afghanistan and Pakistan, the region and the world. The two countries being an economic hub will multiply the economies of the world, he added. Speaking at the occasion, Janjua said Afghanistan is the heart of Asia region and if there is peace in the heart only then there would be prosperity and stability in the region. “Unfortunately, children of Afghanistan have seen nothing but war since 1979, whereas Pakistan, after Afghanistan, is the most affected country hit by instability and insurgencies”, he added. He said the people of Pakistan wanted to see Afghanistan as peaceful, prosperous and stable country. Nasser said CPEC is only half of the dream of China’s Belt and Road Initiative (BRI) and Afghanistan is next half of the dream by connecting whole central Asia and Europe. He said Pakistan is the only country that can multiply the regional economies; and Pakistan needs to work beyond CPEC and connect the whole world. Pakistan has successfully fought the insurgencies and militancy through Zarb-e-Azb and there is dire need to consolidate on this success, he added. Speaking earlier, Dr Abid Qaiyum Suleri, Executive Director SDPI, said CPEC would remain a mere road and rail link unless there is peace on the borders, especially on the borders with Afghanistan and India. Imtiaz Gul Senior Analyst on the occasion said until we engage with Afghanistan out of the present obsolete Planning Commission Regime and create a whole-of-government approach through the single-window joint civil-military mechanism, dividends of peace will keep eluding us. Former Ambassador Rustam Shah Mohmand, Former Pakistan Ambassador to Afghanistan said Unwillingness of US to clearly tell its objectives in Afghanistan, lack of interest and commitment of the incumbent government to peace initiatives (status quo) and the inability of Afghan Taliban to become a political force are the three major obstacles to peace in Afghanistan. Syed Iftikhar Hussain Babar, Secretary of National Security Division, said to bring peace in Afghanistan is of paramount importance and priority of Pakistan’s foreign policy.